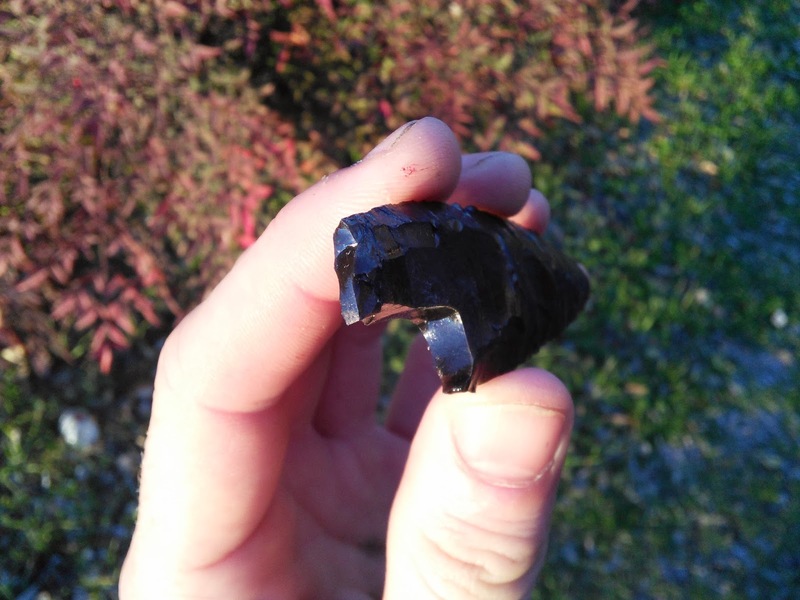 I hafted the fluted obsidian knife from the other day and took it out for a test in the Piney Woods of Deep East TX. I (unsurprisingly) did not manage to get a deer or wild hog this time. I did, however happen upon a rabbit. These rabbits have been a real hit at cookouts with the neighbors, no really. In keeping up with thrashing nice things, I used the hafted knife to process a rabbit in a similar method seen in the previous rabbit knife post. 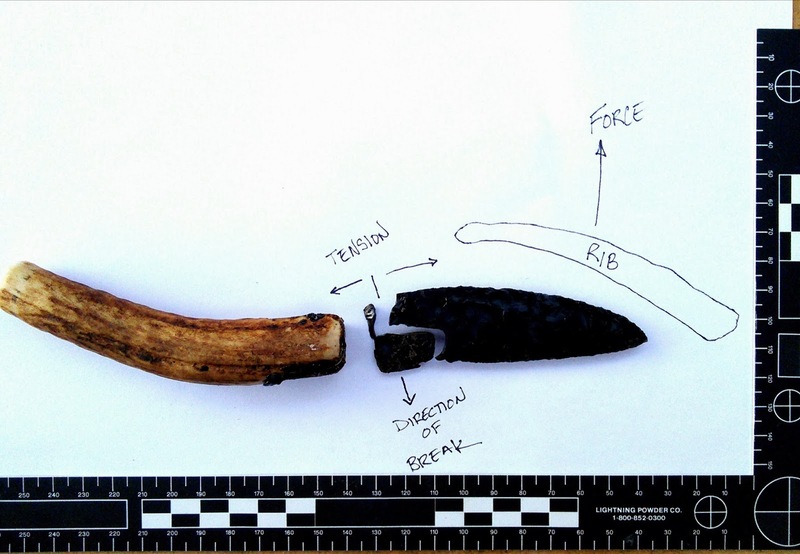 The materials used did not change: obsidian knife blade, antler handle and pine pitch glue. Rather than keeping the cutting edge centered along the tool's cutting margin, this time I played with a slight bevel. This was supposed to be used in a test of resharpening efficiency between beveled and mid-line margins. I had misplaced my metal knife so i set out on another functional-recon experiment with what I had laying around. Unfortunately, I had little chance to observe differences in beveled/centered cutting edge performance as the blade snapped during rib cage separation. I had inverted the knife, using the curved edge in an upward direction to open the rib cage from the inside. This task did not bode well for this specific tool. The event was signaled by the broken blade flying across the workspace that left a spiral of blood stretched across the ground. So...pretty cool to see actually. Try it for yourself sometime as a party trick, no? 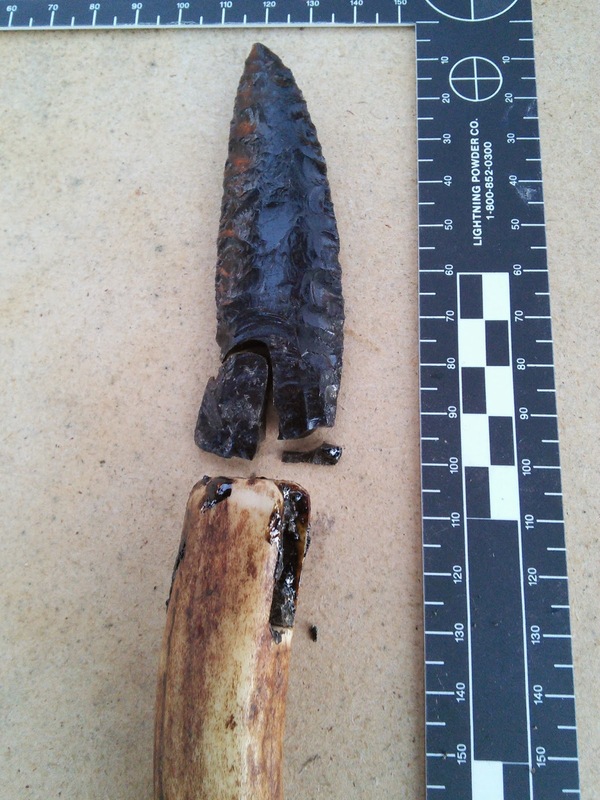 The catastrophe resulted in a strange hinge fracture that traveled from margin to margin and split the piece in half. The crack initiated from the curved section of the tool as force was applied upward. Bending stress increased upon the fulcrum created at the junction of blade and handle to a sufficient degree such that the applied stress overcame the performance capabilities of the tool. 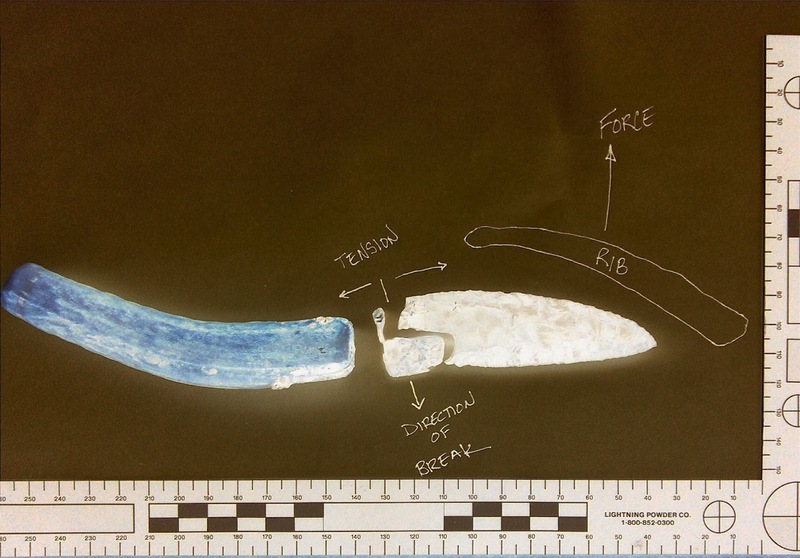 The fact that this was a fluted knife may have something to do with the breakage, as the channel flake eliminated the typical lenticular cross-section that usually works so well under bending stress. Is this type of breakage specific to knife use? I have never seen a hinge fracture like this as the result of horizontal impact damage. Perhaps this type of breakage is associated with vertical bending stress during butchering events. More tests are needed, as usual, but his seems to be something special in the world of task-specific breakage patterns. 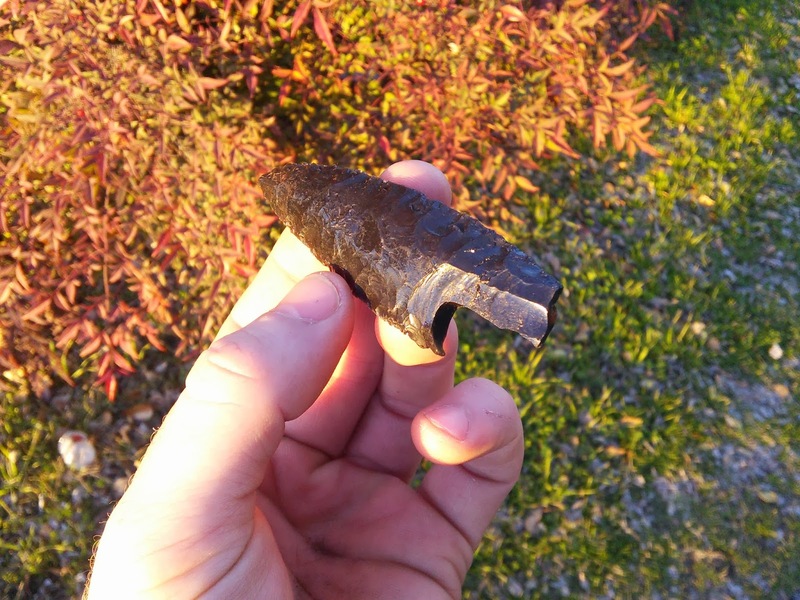 The following images illustrate how this piece broke. I have found that inverting the image is a simple way to see flake scar patterns slightly better. There are some great new imaging studies out there that are revolutionizing our ability to assess flake patterning. Inverting the image colors on obsidian is a quick and dirty way to see a piece in another light, plus it looks cool. Let me know if you have seen anything akin to this type of stress fracture. You got some neat photos!